Many of us are on a search for better health. We all have different ways of trying to attain this and diverse belief systems on how this should be done. Just as each individual is unique so can be their road to finding better health or balance. Chinese medicine is one road to guide you there and a wonderful one at that. 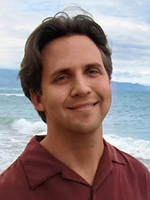 John Motley is an expert Acupuncturist and Medical Intuitive that specializes in treating a wide variety of health concerns. 808 268 0278 to schedule an appointment. China’s 3,000-year-old medical system is based on the idea that balancing active and passive forces within the body enhances Qi (chee) and leads to healing. Qi is a fundamental concept of everyday Chinese culture, most often defined as “life force” that is part of everything that exists. The purpose of using Chinese medicine is to treat the root cause, rather than provide a temporary solution. A Chinese medicine doctor works to bring balance to the body through acupuncture, cupping (use of suction to increase circulation in an affected are), herbs, nutritional and lifestyle counseling. By inserting very fine needles at certain points we can manipulate the flow of Qi in order to restore balance. In stabilizing the patient’s physical, mental, and emotional state our purpose is to nurture the bodies own healing process. Acupuncture tends to be the primary source of treatment in Chinese medicine throughout North America. Although acupuncture in the West is primarily used for the relief of physical pain such as arthritis, sports injuries, neck and low back strains, in the East it is a comprehensive and integrated system of health care. While the effects of Acupuncture are complex and how it works is not entirely clear many scientific studies have been done to show how treatments may physically affect the body. Not only may a treatment reduce inflammation, raise white blood cells and change hormonal patterns in the body, it has shown to be a form of healthcare that can gently guide a patient to a better mental and emotional state as well. No two people are the same and it is one of the big strengths of Chinese medicine that we treat people individually to get better results. There is no single blanket treatment for ailments like Irritable Bowel , Headaches or Menopause for example, treatment is always individualized. Syndromes that are commonly treated with prescription medication can benefit from Chinese medicine as well. Depression and Anxiety have demonstrated to be successfully treated along side prescription medication or effectively on its own. .And unlike conventional drugs, there are only beneficial side-effects such as more energy, coping with stress more effectively and deeper breathing to name a few. How we form a diagnosis? While a Traditional Chinese Doctor may ask on your first visit “What brings you here today?” or “What is your main concern?” we are continually looking for so much more. We are observing, listening and inspecting how your body is functioning on a recurrent basis. We employ traditional methods of diagnosis such as observation of the tongue and examination of the pulse. We look at the tongue for differences in the colour, shape, cracks and coating. This information can give us more insight about blood flow in the internal organs and how the digestive system is functioning. In addition we examine the pulse for different characteristics to determine the overall constitution of an individual. As a balanced and holistic approach, your first treatment will give you the opportunity to thoroughly discuss your health care concerns and goals. An initial treatment will generally last 60 to 90 minutes. You may be asked a wide range of questions about your physical symptoms, lifestyle, and emotions. What role do your emotions play? Emotions are natural and do occur in all individuals. It is when people become fixated on an emotional state or happen to be overwhelmed by a traumatic event that the emotions tend to stagnate in the body and contribute to illness. In Chinese Medicine, we believe that each emotion is connected to a different organ system and therefore can manifest in different areas of the body to cause unbalance and illness. We piece together all the above information and form a treatment suited just for you. We tend to use very basic terms, such as heat, cold, damp, phlegm, wind, etc. to explain the diagnosis. During a treatment we insert approximately four to twenty sterile disposable acupuncture needles according to your imbalances. You may feel a radiating sensation when the needle is inserted, and it generally lasts for a few moments. What each individual feels during or after a treatment can vary from a dull heavy sensation, to relaxation, to feeling energized. Commonly, the needles will be left in for fifteen to twenty minutes. You may also receive other treatment modalities, such as cupping or herbal therapy. Ultimately we are trying to form a lifelong partnership with you as your one of your health care providers. Just as an ailment does not form over night the amount of treatments will vary on each individual case. We strive to gently guide your body to better health while bringing you more awareness. We want you to eventually achieve true health for your body mind and spirit primarily on your own. Coming for periodic treatments when you need a “tune up” to maintain your overall well-being is our goal.